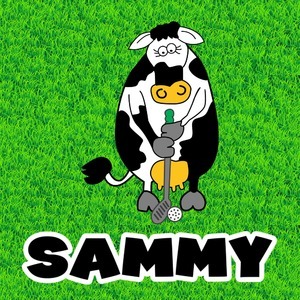 Have some fun with our little cow golfer friend! He has a nice background of grass so he can play all day. Even better, our cow friend can be a pattern too! You can easily change the black and white frame and ribbon to whatever color you like. You can even switch out patterns and graphics! Happy designing!